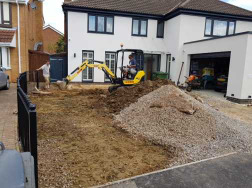 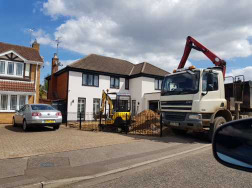 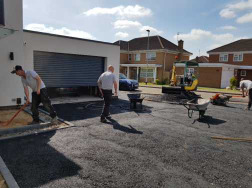 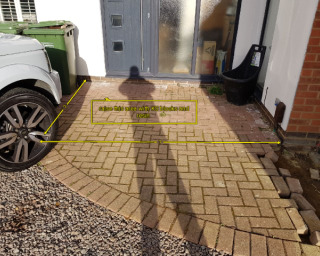 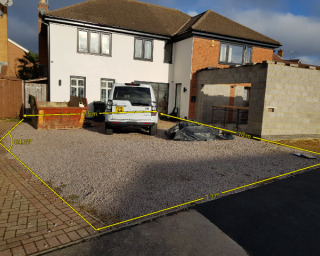 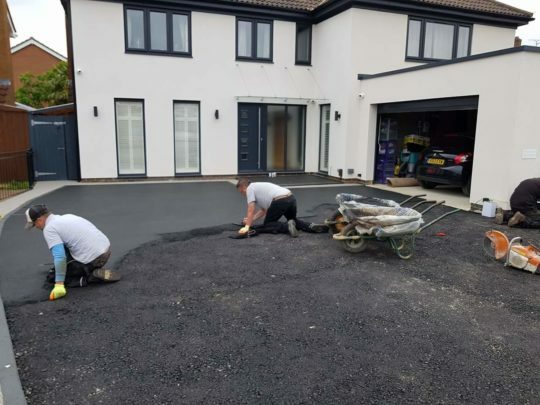 Our clients had a gravel area at the front of their property that they wanted to improve with a better looking product and at the same time decrease the amount of maintenance required to keep it looking good. 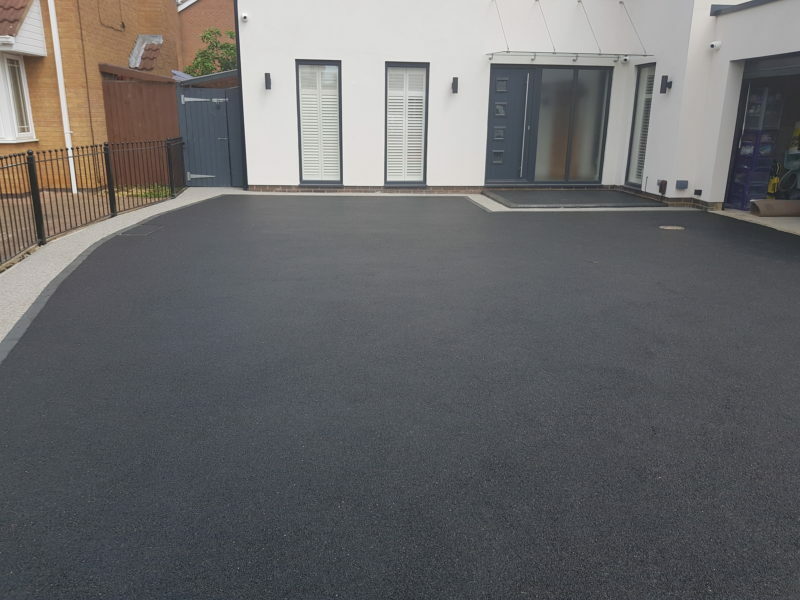 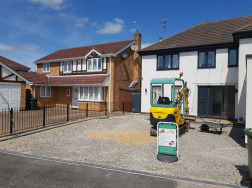 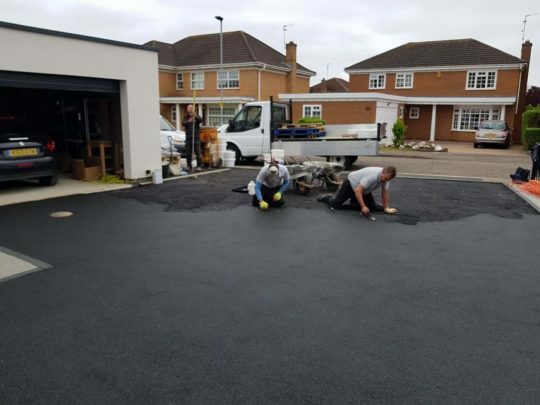 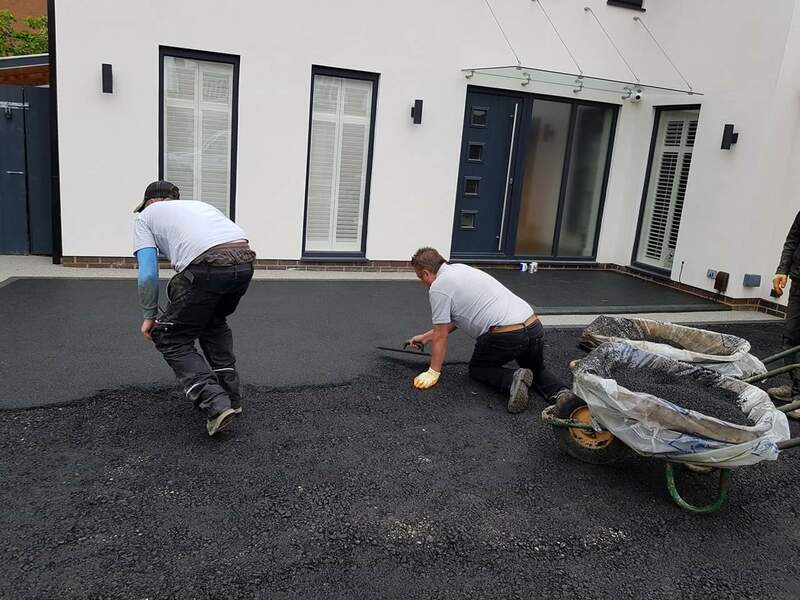 A resin bound installation was completed with two different colours, Daltex Black for the main of the driveway with a border completed in Daltex Silver. 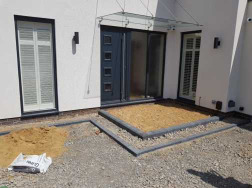 A stepped up area was also installed to compliment the front of the house entrance.